Chapter 14 - by Sharon Hill. "How I Learned to Pray for the Prodigals in My Life." 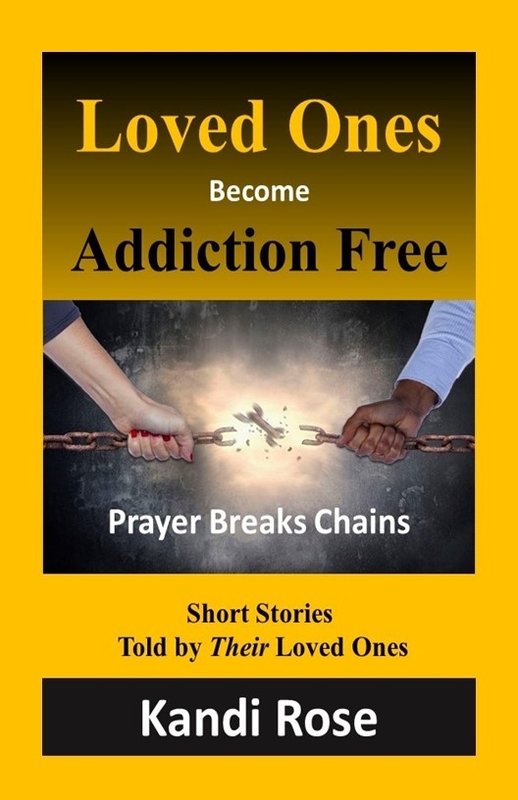 Loved Ones become Addition Free/Prayer breaks Chains, is comprised of short stories told by family members. Family who experienced sleepless nights fearing for their loved one's safety. They candidly retell in this book the heartache and horror as they watched their loved ones spiral out of control. They share their experience of grief but also what followed was joyous elation as they witnessed the transforming power of Christ. They now know firsthand, Prayer breaks Chains! This book brings hope to the countless individuals and family members who know the devastation of addictions. By reading this book, readers will be inspired to continue to pray, show love, and live godly before them knowing, their Prayer can break Chains.